If your 2019 resolution is to meet someone new, but you're sick of the regular dating apps, it's time to try something a little different. 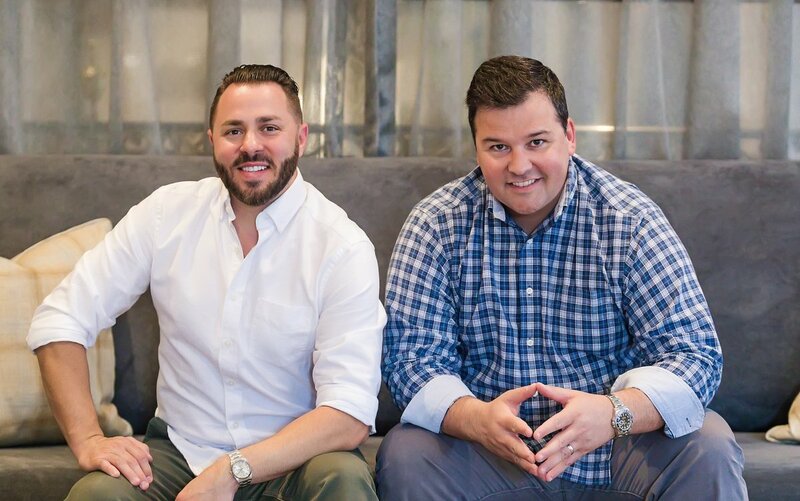 WillCalled offers a way to connect with people based on mutually shared interests, and we sat down with founders Lex Lipsitz and Ken Madson to discuss their app. 1.WillCalled is such a brilliant idea. Can you talk about the inspiration behind it and why you saw a need for it? The inspiration from the app was spawned from real-world experience. Lex purchased VIP tickets to a Guns & Roses concert. He is a huge fan of the band and figured many of his friends would want go with him. He offered two of his four VIP tickets to Ken, who declined. Undeterred, and with months until the show played, Lex continued to ask friends, as well as look for a date for himself. Weeks before the show he was left giving away two of his four tickets to an unenthusiastic friend and opted to take a friend as his date. Through that experience, Ken and Lex came up with the idea to pair people with similar interest; in this case a ticketed event. What they created and launched is a patent pending system that pairs users through shared common interests and offers a truly fresh take on dating. Using shared interests has given users a better chance at success. The app also provides users a conversation starter as well as a the perfect place for a great, safe first meeting in public places. WillCalled is the perfect solution to solving the fatigue that so many dating app users face today. 2. You both come from music industry backgrounds, what made you make the switch into creating an app of this nature? We saw an opportunity to potentially disrupt the marketplace and capitalize on a wide segment of users who were being under serviced. The idea drew heavily from our experience in entertainment, specifically our backgrounds in live performance and ticketed events. We want to continue to work closely with our entertainment partners to increase ticket sales, improve experiences, and always remain loyal to our users. 3. How have you been able to leverage your network and connections to help get WillCalled off the ground? We’ve had a lot of support and advice from industry peers that has helped shape the path of WillCalled. Some of our friends from top agencies, management companies, ticketing companies, and more have given us great feedback on different iterations of the app. We’re in talks now with some of our key contacts about solidifying partnerships which will end up being mutually beneficial and long lasting. 4. Can you share a particular experience with another dating app that made you absolutely see a value in creating WillCalled? There isn’t a specific instance we can point to. Our creative impetus was much more about what popular apps weren’t doing effectively. We created something unique for the user that was safe, fun, and helps them to easily find someone with a shared similar interest. 5. Outside of dating, can people use WillCalled to find friends with similar interests? We are seeing a variety of different things happen with our app and we have seen instances where people have used it to find platonic relationship. The most interesting thing we saw happen was a user who had just moved to Nashville expanded her network of music business contacts through an album release party that was invite only through the WillCalled app. It’s an unusual situation but happened organically and was really cool to see. It’s an example of the app bringing people together with similar interests and working effectively. 6. What’s next for WillCalled? Over the past month the amount of interest in WillCalled has grown exponentially. We want growth but we want that growth to be sustainable and well supported. We’re taking cues from those before us, like Uber and how to use key markets and grow intelligently. We have several different features we’ll be rolling out in 2019 and we’ll be announcing some key partnerships in Q1. We look forward to the future and really thank you for this opportunity!